James Bridle is a writer, journalist, technologist, and visual artist. He writes for the Guardian, Observer, Wired, Frieze, the Atlantic, and many other publications. An essential read on the key subjects around AI, and the dangerous feedback loops that are currently being produced. 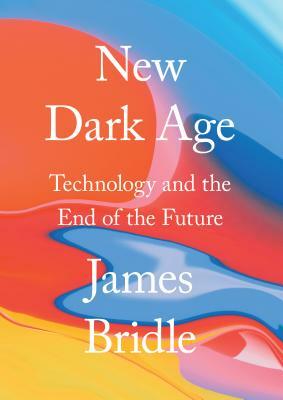 New Dark Age is a paradoxical work, elegiac yet futuristic, which embraces paradox and the limits of knowledge—especially the limits of knowledge that the present moment’s technological advances, political instability, and environmental chaos have conferred upon us. Foreboding, at times terrifying, but ultimately motivating account of our technological present … He insists that what is needed is not understanding, but a new language, new metaphors—a new image—that would allow us to look at the darkness directly and—hopefully—begin to see. Touching on a wide variety of topics, including search algorithms, surveillance, climate change, and many more, Bridle makes a compelling case for pumping the brakes on technology to allow ethics to catch up.